Flyer templates and poster designs are available elsewhere on the web but Inkd flyer templates can't be found anywhere else. Our marketplace is about professional print design for projects with short deadlines or budget constraints. 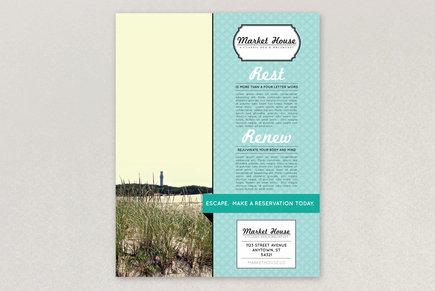 We hand-select each design from hundreds of submissions and we guarantee each file is ready to customize and print.